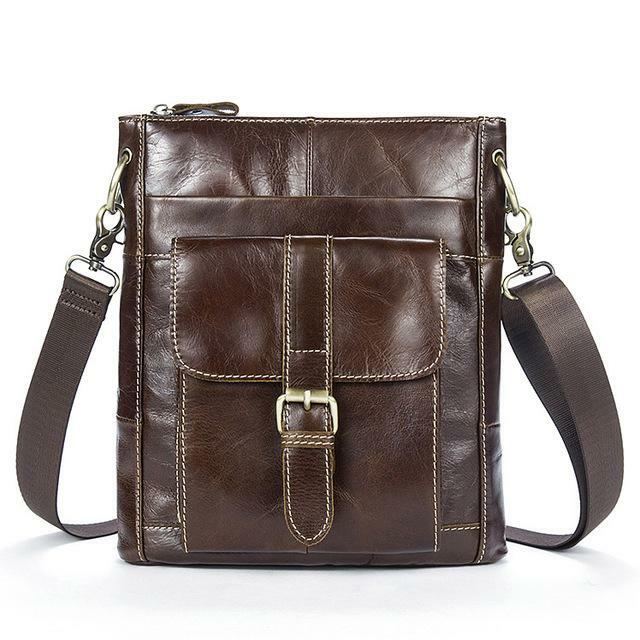 This tote messenger handbag is an accessory that every man should have. 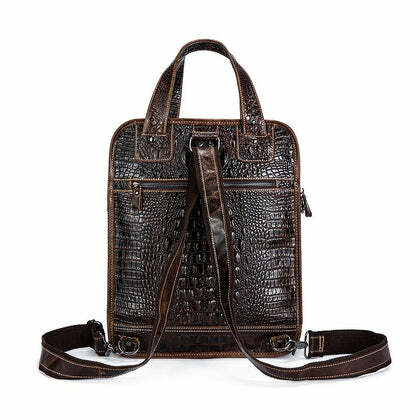 Completely handmade with excellent quality genuine leather, this handbag is amazing in every way. 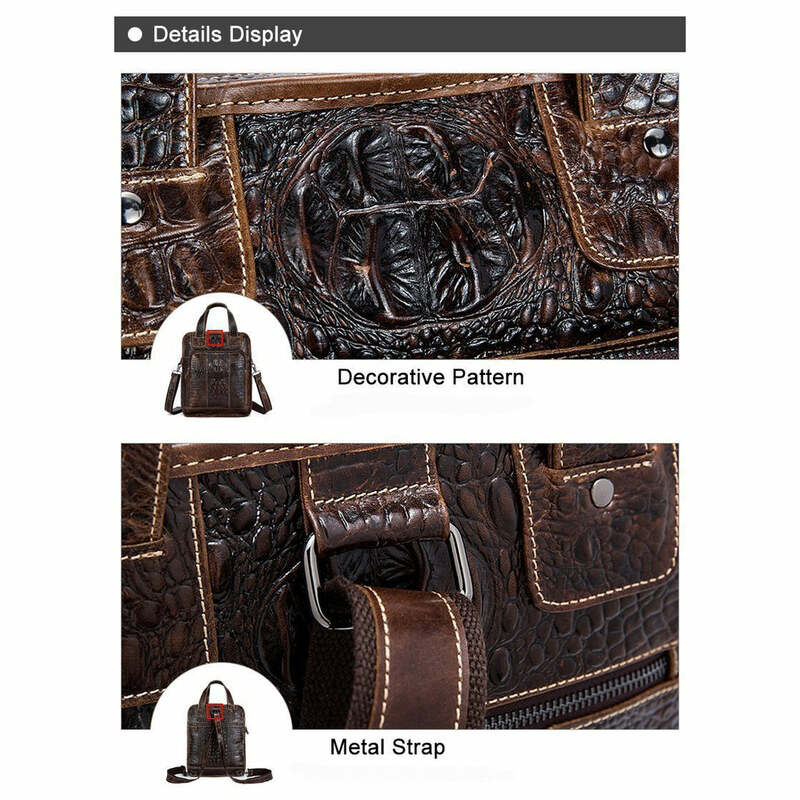 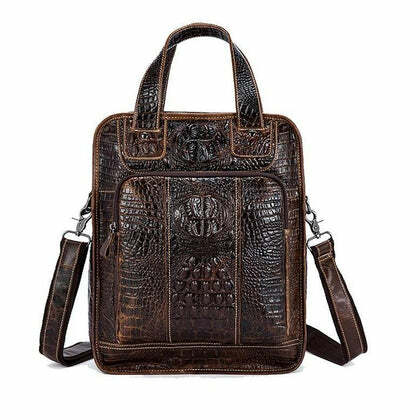 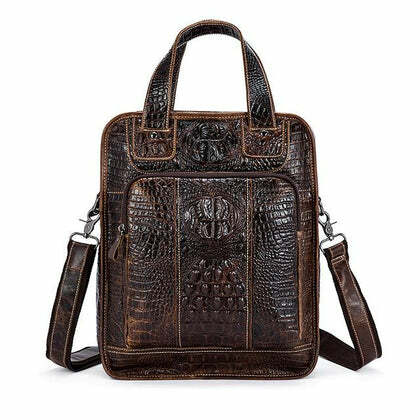 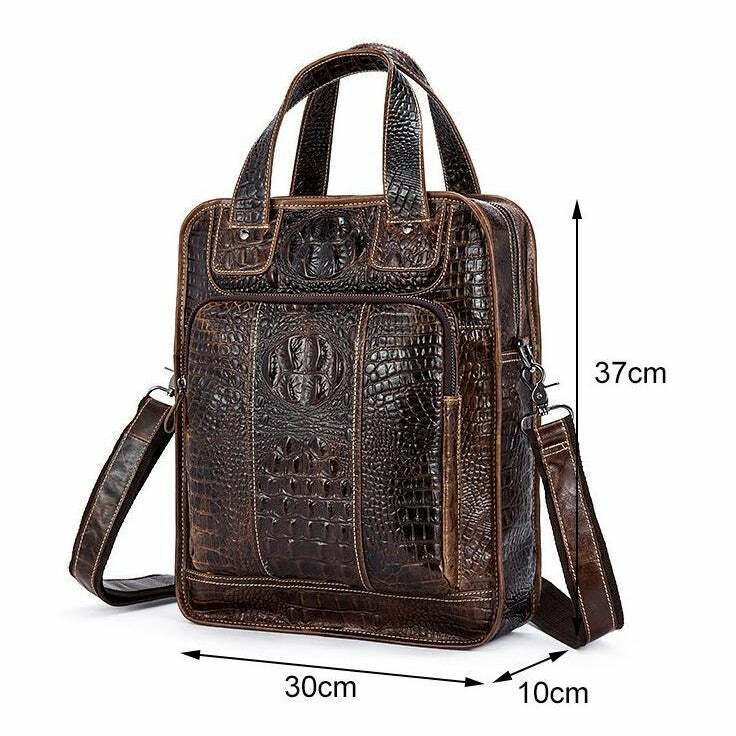 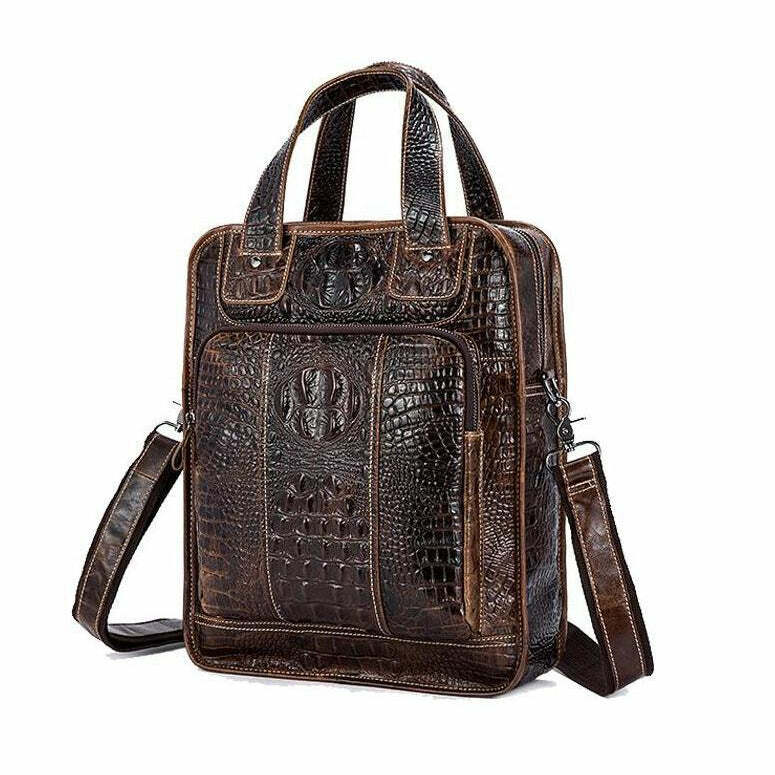 The exterior is crafted with is a unique alligator design to give it a chic and attractive appearance. 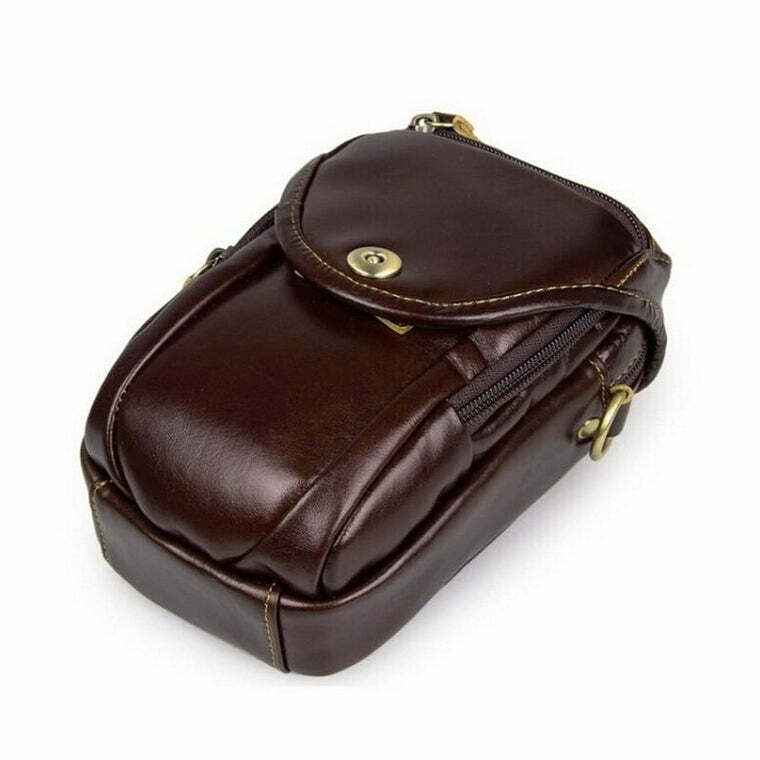 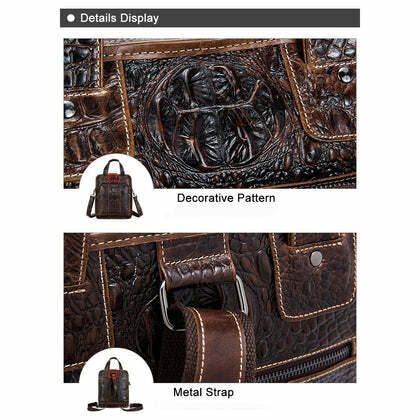 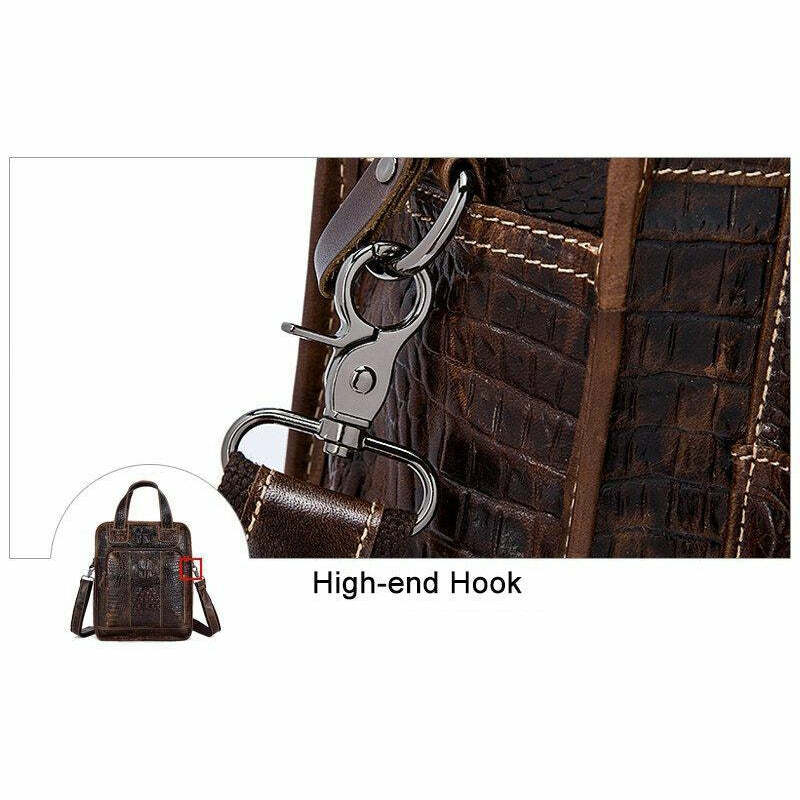 Plus, the entire bag has been stitched to perfection to enhance the immaculate appeal. The slim and casual compact design along with strategically placed front pockets give you easy access to your personal belongings. 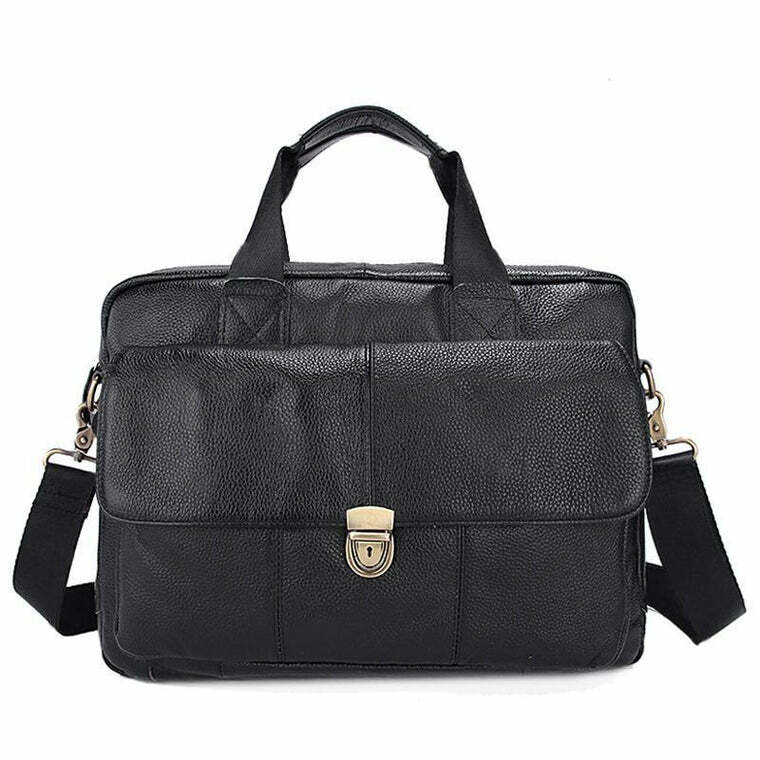 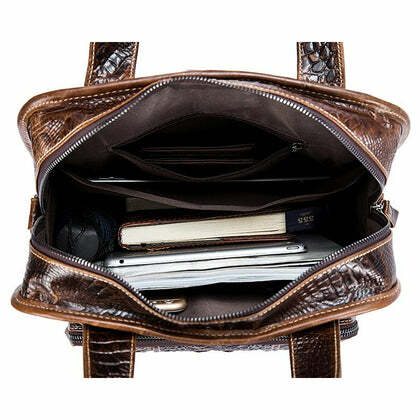 The interior of the bag is quite spacious for storing your laptop. 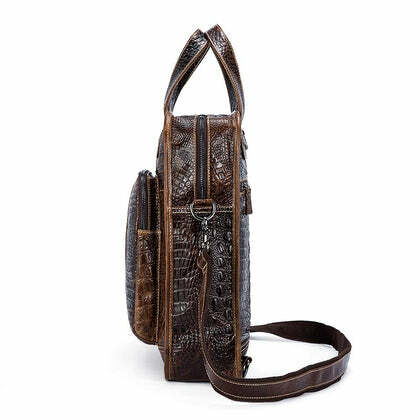 This bag comes with a dual handle option: two short handles make it an-easy-to-carry tote and a longer one to transform it into a shoulder bag. The padded shoulder strap is adjustable and removable to cater to your needs. 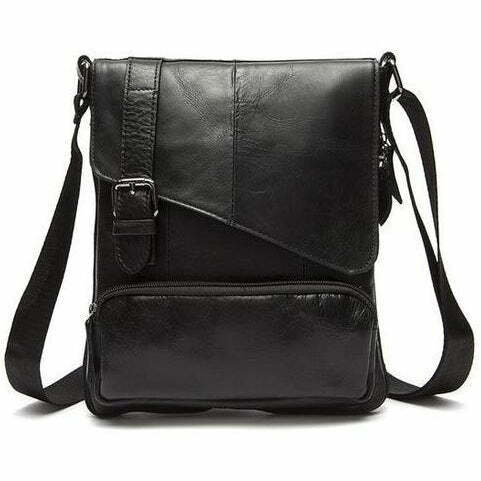 So, go ahead and invest in this multi-purpose bag that will definitely give you an unforgettable personality.